The RH7 History Group | Can You Help? Listed below are some enquiries we have received and which we hope you may be able to help answer. If anyone has knowledge of or information regarding any of these items - or if you have a query of your own relating to local or family history in our area which you would like help with - please contact the Webmaster. THE HARDY FAMILY - Terry Hardy, grandson of Henry Joseph Hardy (see Factsheet 39), has written an extensive history of the Hardy family. Many of the family, direct descendants of John Hardy born circa 1702, emigrated to America in the 1850s and 1860s. Terry has made a fairly detailed write-up of how three of Henry Joseph's uncles and their families - including Henry Joseph's first cousin, Thomas Henry Hardy who left the UK in 1856 and became a gold miner in Mammoth - made those incredible journeys to Utah by covered wagon and even the handcart method. They were Mormons and "trekkers" who literally walked across the Great Plains and the Rockies to settle in Utah. They all survived and there are many Hardys out there! 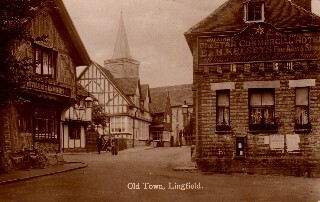 Terry also has profiles of near family including Henry Joseph's wife, "Grandma Hardy", who lived in Lingfield and Dormansland, and of Henry Joseph's father, Peter who was "The Master" at Godstone school for many years along with his wife who was "The Mistress". If you are interested in the Hardy family please contact Terry direct on 01929 481197 or email him at tlh@hashi.plus.com. THOMAS CAREY - Paul Carey is researching his family's history and wonders whether the Thomas Carey referred to in our factsheet "Richard Doubell - A Smuggler's Tale" could be his ancestor. Paul says that the Carey name has certainly been linked with smuggling and it is probable that his 5x great-grandfather Thomas was at least a casual smuggler. According to the factsheet, a horse dealer from Hurstmonceux called Thomas Carey (also known as 'Jockey Tom' or 'Lame Jockey') was hanged on the 26 March 1750 for aiding and abetting murder. If anyone else is researching the Carey family or can help to identify whether or not this Thomas fits into Paul's family tree, please get in touch. 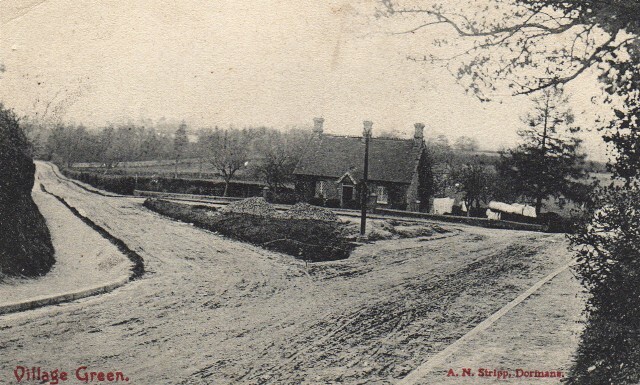 HOATH FAMILY - Lea Allen is researching the Hoath family who for many generations lived in the Edenbridge area, and several of Lea's ancestors are buried at Crowhurst. In particular, Lea would like to identify the parents of Henry Hoath who was baptised around 1805 in Tonbridge/Edenbridge and died in Sevenoaks in 1879. If anyone can help please contact us. MISS AGNES DEBENHAM - Gordon Bartlet is researching the history of a 19th century domestic chamber barrel organ donated to the Dorset County Museum in 1935 by Miss Agnes Debenham of Lingfield, whose address has been given as Hobbs End, Church Road Lingfield / Hobbs Farm, Tandridge Lane, Lingfield. Does anyone have any information as to how, why, and when she came upon this organ, and the use to which it was put? Are there any records of it being played in the Church or at any local events? Any information, however tenuous, or photographs showing the organ in use would be much appreciated. If you can help please let us know. THOMAS TURTON - Elaine Burford is researching her Mitchell/Michell ancestors from Cornwall and would like to discover how Mary (daughter of Rev. John Michell) came to know Thomas Turton, who she married. If anyone has more information please get in touch. LINGFIELD COMMON / FULLER Family - A friend of one of our members is trying to identify the location of a property known as "Nailers" on Lingfield Common, where Richard Fuller, his wife Susannah (nee Cockrell) and their family were living at the time of the 1841 census. If you can help to identify where this property might have been situated, please let us know. ASHBY and BOORER families - Yvonne Vince is researching her ancestors Henry Ashby and his wife Elizabeth (nee Boorer), who were living at Altar Cottages, Crowhurst, with their three children, Henry Arthur, Mahala Daisy and Wilfred, on the 1911 Census. The address Coles Barn is also mentioned, and Yvonne is trying to find out as much as possible about when they lived there and also a history on the addresses. We have been able to put Yvonne in touch with another relative living locally, but if anyone else can help please contact us. 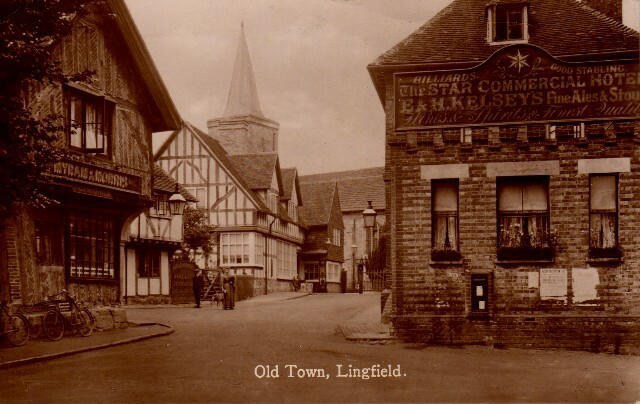 MAYNARD family - Philip Maynard has discovered that his 5x great grandfather, John Maynard, was born in Lingfield circa 1709. If anyone has information on the Maynard family please get in touch. ROBERT BARNES - Andy Barnes is trying to trace the history of his grandfather, Robert, who was an orphan. The 1911 census shows him living with a Mr & Mrs Neal at Ralph Cottage, Dormansland, and has him and another boy down as orphans who are attending school through the workhouse. If anyone is interested in the local workhouses and could point Andy in the right direction as to the catchment area of the workhouse in which his grandfather would have been placed, please let us know. DORMANS STATION - Bernard Sanders has noticed some heavy duty concrete slabs and earthworks behind both platforms and is curious as to their origin and purpose. 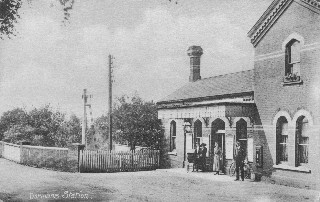 The slabs do not appear on photos or plans of the original station; nor in published photos from the inter-war period, although a 1951 photo suggests a high flattened mound of soil with sloping sides stood on top of the concrete slab behind the up platform canopy. Today the slabs are still buried in soil and covered with vegetation although the shape has eroded. 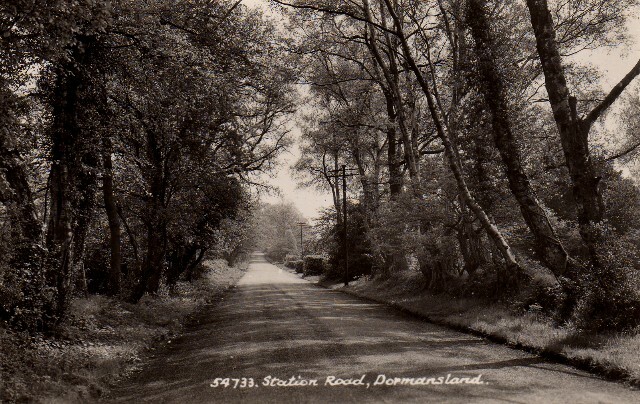 If anyone remembers or knows when the concrete slabs at Dormans Station were made or has information about their origin or purpose, please contact Bernard direct. Jean Leadley is researching the WATSON FAMILY who were living at Nobles, Dormansland in 1861 and were at Dormansland Road Cottage by 1871. 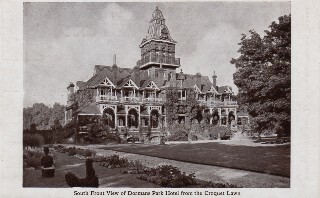 Family members were still in the area in the 1911 census. JAMES JENNER (1781-1841) - John Jenner is researching his ancestor who was a miller at the Wiremill, near Newchapel. James married Eliza Newington at St Saviour's, Southwark in the 1830s and it is thought that one or both of them may have been Congregationalist. Allie Stewart would like to find out more about FREDERICK MARLEY who was a staff sergeant with the Honourable East India Company, also his son Albert Thomas Marley and grandson Norval St Clair Marley. THE BONWICK FAMILY mentioned on a plaque outside St Peter & St Paul's Church, Lingfield is of interest to Steve Cumbers. Don Davies would like information regarding TED PECK, who worked at Dormans Station and lived in the adjoining house; also the SKINNER, CREASEY and BETTS families. 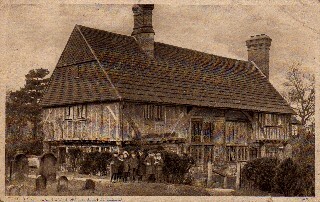 David Schenck is researching the ELIZABETHAN COTTAGE, EASTBOURNE ROAD, BLINDLEY HEATH and the architect Blunden Shadbolt. John Grevatt would like to find out more about his ancestor HENRY GEORGE GRAVETT, a railway porter of Dormansland. If you can help with any of the above, please contact us.